One of my long standing clients, Donna, has generously offered to share her experience with you. I hope you find it useful. The email and newsletter are reprinted with permission. We encourage you to have regular breast exams. I’ve been a long-time BE gal and have just loved the stuff. HOWEVER, I recently had some blood work and a complete hair analysis done. My hair analysis showed that I was off-the-charts with bismuth levels. I couldn’t understand why, as I never use antacids. A little internet research led me to www.beautyblisscosmetics.com where I read all about bismuth in most mineral makeups. A quick check of the ingredients to my beloved BE products, and almost every darned one of them contains bismuth. Being curious, I thought I’d order some Beauty Bliss products in the wonderful and inexpensive sample sizes……….WOW, love the stuff! I was distressed about giving up me BE, but not any more! Beauty Bliss is much better and you also get much more product for your money! The foundations are so smooth and silky on your face (Cafe is my color), the Mattifier is an absolute dream to soak up the extra oil on my skin, and the Deep Bliss EASILY replaces my old veil and bisque from the other company. There are so VERY many colors to choose from with the shadows, blushes and foundations. Every single thing I’ve tried keeps me saying, “Oh, I love this stuff!” With generous and inexpensive samples, there is no reason to order a wrong color. Shipping is pretty quick, too…about a week’s turnaround time from order to doorstep. Great stuff! Loving my new mineral makeup brand! The commentary in this e-mail is written by me to all of you, but the newsletter is borrowed from a reputable company. I hope you will read on and consider what I’m saying…. Most of you know that I’ve had to make some drastic changes in my cosmetics/personal care use over the last few months because of some shocking results from blood and hair analysis tests that I had done over the summer. You also know that I live a pretty healthy life. October is breast cancer awareness month, and I encourage you to read the newsletter below and consider what it says. There is a strong possibility/probability that many of the products you use, such as your deoderant, your body wash, your body/face lotion, your foundation/powder, your eye shadows and even your shampoos, contain a toxic mix that, over time, builds up in your body to sound alarms—such as was done in my blood and hair tests—or can even lead to many other health issues—including cancer and disease. Below, you will find a newsletter from a company that makes a couple of the products that I now use. I’ve been able to gather a wealth of knowledge from the articles and research posted on this company’s website (www.alchemistsapprentice.com) and www.beautyblisscosmetics.com along with many other natural care companies. 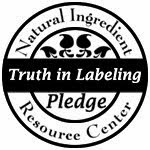 I do not “sell” any of the products from these companies; my only “profit” in your reading the info and visiting the sites, is that you will be more educated on this subject and that this education will lead to a few educated and healthy choices in the future when you purchase your everyday products. Ingredients such as bismuth oxychloride, parabens of any kind, laurel/laureth sulfates, propylene glycol, and aluminum-related ingredients can wreak havoc on your health over time. As a woman, I’m asking that you prioritize about 30 minutes of time during the month of October, and read the info from this newsletter and the other mentioned site, and then just check the ingredients that I’ve mention on the products in your own bathroom—just start with these five ingredients. There are many other potentially-toxic ingredients, but let your research begin with these. Please do it for yourself and for your health. Breast Cancer: Take Charge of Your Health! In honour of the nuturing spirit of women, this newsletter celebrates mothers, daughters, sisters and girlfriends everywhere as we embrace life and fulfill our dreams. As a woman and cancer Survivor I believe that the end to breast cancer lies in prevention and the lifestyle choices I make everyday. My intent with this newsletter is to share information that empowers you to make your own informed, healthy decisions that will make a difference in your health. The facts about breast cancer. As women, we can all put a check mark next to the very first breast cancer risk factor. Despite increased awareness, the statistics continue to get worse. Today, nearly 1 in 7 women will be diagnosed with breast cancer in their lifetime. *In 1940, a woman’s lifetime risk of Breast Cancer was 1 in 22. Sadly today, it’s 1 in 7 and rising. A new breast cancer case is diagnosed every 1.9 minutes. Every 13 minutes, a woman dies from this disease. *Breast Cancer now strikes more women in the world than any other type of cancer (excluding skin cancers). *An estimated 3 million women in the United States today are living with Breast Cancer. Two million have been diagnosed with the disease and one million have the disease but are not aware of it yet. *Breast Cancer does not discriminate. It knows no boundaries of race, class, or gender. *In the U.S., breast cancer is the second leading cause of cancer death among women (lung cancer is the first). *Every woman is at risk. More than 50% of breast cancers occur in women who have no identifiable risk factors other than age. Only 5 to 10% of breast cancers are linked to inherited mutations. *Mammograms do not prevent breast cancer. They detect tumours, but can miss more than 1/4 of all breast cancers. Breast cancer tumours can exist for 6 to 10 years before they grow large enough to be detected by mammography. Mammography is less effective in younger women than in older women. *Of the 100,000 chemicals in commercial use today, 90% have never been tested for human health effects. Complete toxicological screening data exists for only 7%. Environmental estrogens, chemicals foreign to the body that mimic estrogen (which controls the growth of breast cells) are found in what we eat, drink, breathe, and in personal care products used daily. *Some risk factors for breast cancer have been discovered. These known risk factors account for only a small percentage (30%) of breast cancer cases. Current research has determined that the key to breast cancer survival is early detection. If discovered in its earliest possible stages, 95% cure rates are possible. “Early detection saves lives.” Most of us are familiar with Mammography. And yet despite increased awareness and yearly mammograms breast cancer rates continue to rise. We know that early detection of breast cancer is crucial to survival. A technology you may not be familiar with is Breast Thermography. Approved by the FDA since 1982, I believe this test should be a part of every woman’s breast health plan. Thermography provides an “early warning” of changes in breast tissue 8-10 years before being detected by any other test. A yearly Breast Thermography has the ability to detect the chemical and blood vessel changes in pre-cancerous as well as breast cancer tissue. Breast Thermography uses no radiation, or intravenous injection, is completely safe, non-invasive, and pain free. Given the increased incidence of breast cancer, every woman can benefit from this valuable screening. Since this technology poses no health risks, younger women with genetic risk factors can have a baseline screening in their teens and twenties. This would allow detection at the earliest possible stage of any pre-cacerous conditions. For women who have been on the pill, and for those who have been exposed to significant environmental pollutants, Breast Thermography can be especially valuable. This test is highly advantageous for post-menopausal women because it can reveal hormonal imbalances, a significant risk factor in breast cancer. How does Thermography work? A breast thermogram is a Digital Infrared Image (DII) of a women’s breasts and upper torso. Images are taken in colour, which reveal patterns of heat (increased metabolic activity and vascular circulation in both pre-cancerous tissue and the area surrounding the developing breast cancer). Specially trained Breast Thermographers then review the information on the images, comparing one to the other, as well as to typical patterns of heat and vascularity in healthy breast tissue. Various patterns of heat and vascularity in the breast tissue can reveal the earliest stages of abnormalities, everything from hormonal imbalances to pre-cancerous and cancerous tissue. The cosmetics industry is dominated by multi-billion dollar conglomerates. Each October breast cancer becomes the poster child of corporate cause-related marketing campaigns to reinforce their brand image and differentiate themselves from their competitors. I find it disturbing that the perfume, skin care and body products marketed by the giants of the cosmetic industry and endorsed by well known celebrities contain toxic chemicals that are known carcinogens and could increase your risk of developing this dreaded disease. Read the labels of these promotional products. Most contain a toxic soup of chemicals. Many of these are estrogenic and can disrupt normal hormone function by mimicking the function of the naturally occuring hormone estrogen. It is certainly not surprising that I question whether these pink ribbon promotions are truly about saving women’s lives or boosting profits. Over 30 federal agencies and dozens of foundations, pharmaceutical and biotech companies are conducting billions of dollars worth of cancer research every year. And yet breast cancer rates continue to rise. Those dreaded words, “You have breast cancer” are heard by a woman every 1.9 minutes and every 13 minutes a woman dies from this disease. Fortunately there are things we as consumers can do to take a proactive stand. *Donate funds directly to charitable foundations and organizations. *Demand the Cosmetic companies be held accountable for the products they make. The most effective way to force manufacturers to address the hazards posed by their products is to boycott purchasing them until they agree to put women’s health first. *Use safe cosmetics. To avoid the toxic soup in most personal care products search the Environmental Working Group’s report “Skin Deep” to learn about the products you use. For a variety of 100% pure, toxic free personal care products and cosmetics please visit this link. We can no longer deny the powerful evidence that there is a connection between chemicals and breast cancer. While the research continues that will lead to even more definitive answers, we can and should reduce our exposure to chemicals that cause cancer. *70% of those diagnosed with breast cancer have none of the known risk factors. The suspected risk factors, like late menopause, having no children or having them late in life, and genetics are present in only 30% of breast cancer cases. *Non-industrialized countries have lower breast cancer rates. Breast cancer rates are highest in North America and northern Europe. Rates are lowest in Asia and Africa. *People who move to industrialized countries from countries with low rates develop the breast cancer rates of the industrialized country. For example, Japan has a lower breast cancer rate than the United States. Japanese women who move to the U.S. have increased breast cancer rates (there daughters even more so) that approach those of U.S.-born women. *Estrogen stimulates breast cell growth. Excess amounts of estrogen are thought to contribute to breast cancer risk. Chemicals in personal care products such as parabens act like estrogen in the body. *Production and use of harmful chemicals is on the rise. Of the estimated 85,000 synthetic chemicals in commercial use today, more than 90% have never been tested for their effects on human health. *Ionizing radiation is a proven cause of breast cancer. The effect of exposures to low levels of radiation can build up in the body and cause harm. This does not mean you should never get another x-ray, but you should be mindful of your exposure to radiation. *Avoid exposures to toxins. Use non- toxic personal care and beauty products. If possible, buy organic food. Avoid toxic cleaning and pest control products. *Empower yourself. Educate yourself and your family about the roles lifestyle factors and personal choices play in cancer prevention. *Be an advocate in the fight against breast cancer. Tell others and encourage them to make changes in their lives. *Spend your money wisely. Think about the choices you make with your money and support companies with a sincere, dedicated, and demonstrated interest in ending breast cancer.